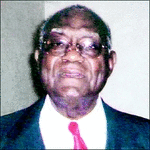 Obituary for Edward G. Jackson, Sr. | McGuire Funeral Service, Inc. He is survived by his beloved wife, Margaret; son, Stephen (Deborah); daughter, Denise (Cedric); one granddaughter, Candice; three grandsons, Cedric I., Justin and Shannon. Daughter-in-law, Carmen Jackson.He was predeceased by his son, Edward, Jr.